Stencils have had a bit of a bad rap recently, as they are seen a little outdated, but stencilling is only as outdated as the design you choose. 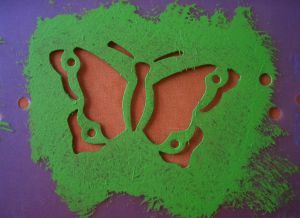 If you don't find any stencils you like, then you can easily create your own design. The kind of paint you need for wall mural stenciling is up to you to a certain extent, as long as you make sure it is suitable for the room you are painting; obviously bathrooms and kitchens need specialist paint that is designed to cope with the high moisture levels. 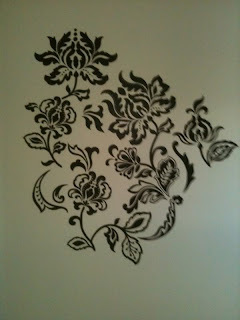 You can use regular emulsion, and make use of tester pots if you are stenciling a small wall area, to keep costs down. Acrylic paint tubes are also good paint options as they come in a wide range of colors and are quick drying. Stay away from oil paints as they take too long to dry, and while using specialist stencil paints is obviously perfectly acceptable, it certainly isn't necessary. It is more due to how you use the paint, than using any specialist equipment. 1.Low tack self adhesive film. 3.Low tack spray on adhesive. If you can get hold of a stencil brush relatively cheaply then it will certainly make your task so much easier. If not then a good quality hard bristle brush can be adapted to the task, by snipping across the brush evenly to make a flat brush surface with a short bristle length - 1/2 inch to 1 inch is ideal. As boring as it is, when stenciling a wall mural, preparation is a step that can't be skipped. Good preparation now will make the process later so much easier, and will look much more professional. It is likely that no matter how big your chosen wall stencil design is going to be, a large amount of the paintwork beneath will be on show, so the first step is to make sure your background is impeccable. The paint on the wall should be given a touch up or repaint, making sure you have a flawless canvas to work on when you begin the wall stenciling. Again, depending on the paint, you might be able to get away with washing your walls rather than painting -- just make sure every bit of grime, dust and particles aren't present. You also need to make sure that the paint is entirely dry before you begin; if it is in the least bit moist, the adhesive from the stencil will peel off the paint on the wall when you remove it. Once dry you might also want to give it a dry brush over to remove any particles that could clog up your brush and affect your design. 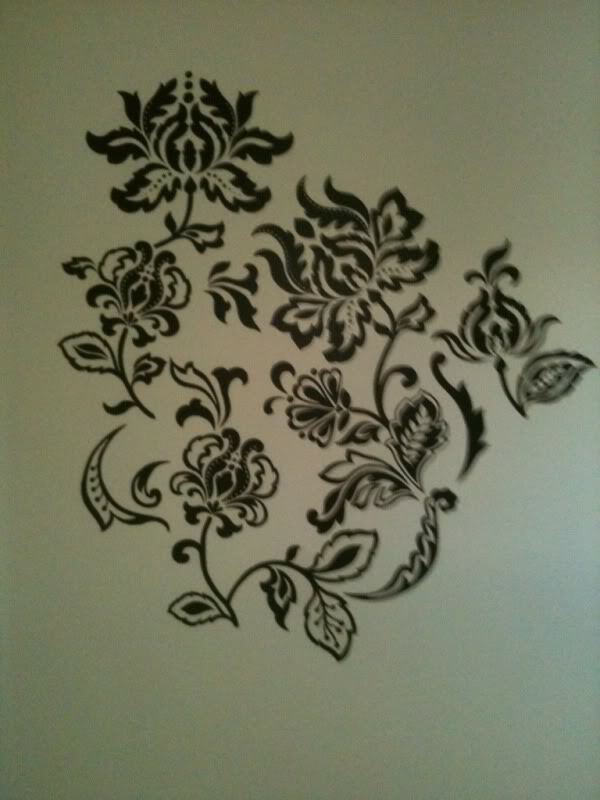 Depending on your chosen adhesive, prepare your stencil to stick to the wall. If using a low tack self adhesive film, transfer your stencil image and cut out all relevant parts before peeling the backing paper away. Using other methods, you can either spray a thin film of adhesive on to the reverse of the stencil, or adhere to the wall with masking tape. If using masking tape please be warned that this is fiddly and more time consuming - you need to make sure the stencil as a whole is stuck to the wall as well as making sure each individual section of the design is secure too. Smooth the stencil on the wall, making sure that no areas of the design are raised off the wall. Dip your brush into the paint, and dab off any excess onto some kitchen roll or paper. It is ideal if the paint is pretty much dry on the brush before you start applying it to the wall. Use a gentle dabbing action, rather than a brushing action, working from the outside in. Try not to concentrate too much on the outside areas of the stencil, to prevent paint bleeding underneath. Using the dry brush technique means that drying time between each color is minimal and you don't need to wait for anything to dry before you continue. My final tip to stencil wall murals is to use a light pencil mark on the wall to guide your stencil along when you move it each time, keeping everything even and measured; the pencil can then be rubbed off the wall with a conventional eraser - job done!